Help Us Help Our Patients And Grow At The Same Time! We are accepting applications for the following positions on our team! We are looking for people who care about people! The R.N./L.P.N. is accountable for providing professional private-duty nursing care to both adult and pediatric patients and their families. He/she will assist in maintaining a physical, social and psychological environment, which will be conducive to the best interest and welfare of the client. The R.N./L.P.N. functions under the supervision of the nursing supervisor. You must possess a license as a Practical or Registered Nurse for the State of Michigan. CPR certification is necessary but may be obtained with a 4-hour instructional class at our offices. 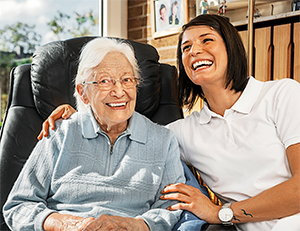 Health Care Associates is a Grand Rapids Home Health Care agency. We serve the greater Grand Rapids area, Traverse City and Petoskey. We have been in business for over 30 years and are excited to learn how we can serve you! February is American Heart Month. It is used to raise awareness for heart disease which is the leading cause of death for both men and women. Health Care Associates & Community Care Givers © 2019. All Rights Reserved.